Had a great time yesterday as we attended the wedding (ok technically civil partnership) of one of our great friends. We actually left home on Thursday – spent the night in Chester and then drove to Ynys Môn after a brief shopping trip round Chester. However Thursday was a bizarre day in many ways – I was all set to use public transport to get to work so I could go straight to T’s work in the evening. Then had a text from social worker at around 7.30 to tell us she would drop the photos of our linked LO off during the day. So plans changed as we wanted to share the photos with our close friends. I drove to work, came home picked up photos (and a customs duty demand from Royal Mail) and made trip back into town to join T. Even that was slightly diverted as went to the Royal Mail office to pick up parcel as I knew it was the earrings I wanted for my outfit. I was incredibly good – I did not look at the photos until T and I could do so together – and we have been on/off looking at them ever since. The drive from Chester was great – although we did divert at one point so T could revisit his haunts of 10 years ago (he spent six months in North Wales immediately after graduating & qualifying). He also spent time at main hospital in Bangor on placement during his degree. It’s a bit of the country he loves so celebrating our friends wedding on Ynys Môn was lovely. 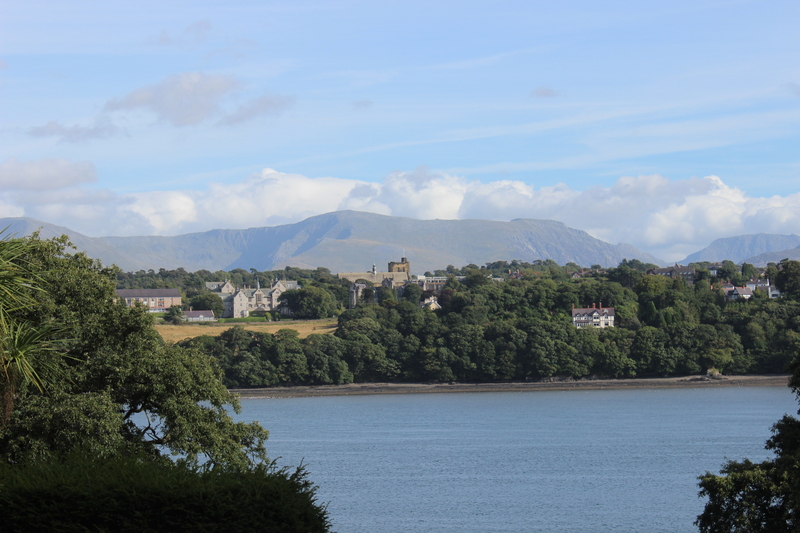 I took over 200 photos over the weekend – mainly of the wedding party and guests, but also some of the mountains across the Menai Straits. We stayed at the hotel where the ceremony and everything took place. It wasn’t cheap but well worth it. This has turned into a momentous year for the crowd who were at university together (I am a little older so it is more T’s years – I came into it via one person and have got closer to them all since T & I got together). 2 weddings and our adoption amongst the 8 of us. The friend (B who was one of our referees) celebrating yesterday was T’s best man and for a very personal reason to us & him there were some poignant memories. Spent time this morning getting photos of them all with teddies – to introduce them to our LO as they are a very important part of our life. So grateful the new member (the other groom) for fitting in so well with the mad crew that we all are. Now in a cottage on western side of Snowdon which we are hoping to climb at some point if cloud base lets us. Picture looks lovely, hope you are having a lovely time!